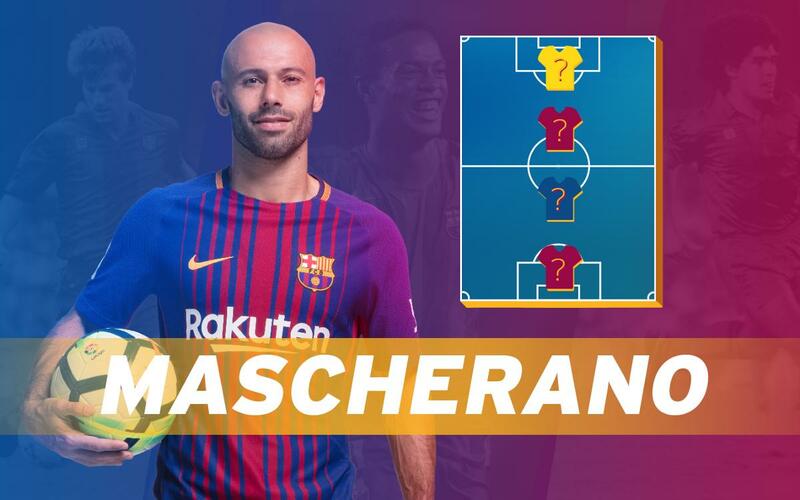 Find out Javier Mascherano's Top 4! The Argentine chooses his favourite goalkeeper, defender, midfielder and striker. Find out who forms his personal quarter right here! Javier Mascherano recently announced his departure from FC Barcelona after more than seven successful seasons. In this video the man who has played 334 matches as blaugrana, winning 18 trophies, takes a look at his footballing reference points. The Argentine chooses his favourite in each position on the field, coming up with a German goalkeeper, an Italian defender, a French midfielder and an Argentinian striker. One of these players is a former blaugrana from the 1980s. Who are the mystery quartet? Find out right here in our top 4 video.